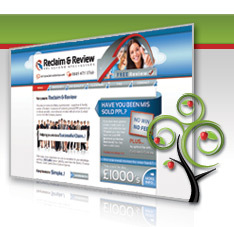 We specialise in creating great looking web sites that engage your clients and stand out from the crowd. 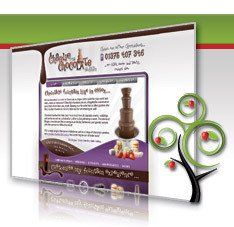 We achieve this by utilising professional graphic design & animation techniques and fuse them into your website design to create a great experience for your customers, whilst presenting your company information & services in a clear and concise way so that your customers can find what they’re looking for quickly and easily. Creating web sites from a blank canvas allow us to be very creative and completely tailor the design to your businesses requirements. We also think about how the site will work, designing the navigation systems & structure as well as thinking how to seamlessly merge the flash animation into the design. 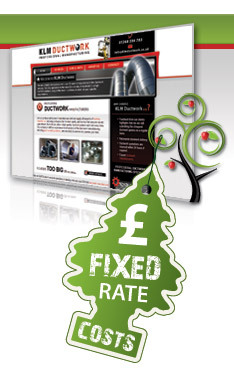 We are based out of Essex and London but offer our web design services throughout the UK. We achieve fantastic results by combining cutting edge graphic design, animation and web development to create a web presence that your business can be proud of and your clients can enjoy exploring. All our websites are now responsive and will be compatible with all popular browsers including Opera, Internet Explorer, Firefox, Safari and Google Chrome tested on tablets, smartphones, PCs and laptops. The prices shown below include the standard web design service listed above. If you are looking for a bespoke solution not detailed on this page please don't hesitate to contact us. We also provide a managed hosting solution with our web design packages, starting from just £99 PER YEAR. For full details on our managed hosting with FREE website text changes for the duration, company emails, Google Maps, Google Analytics and more - please visit our Managed Hosting page. Get a pop up alert when a user visits your website, then engage them in chat. 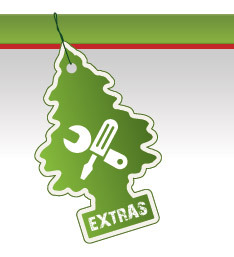 Everyone's requirements are different, however we have tried to provide the most popular extras below. If you require anything that isn't listed please just let us know. The below prices are a rough estimation and would need to discuss your requirements to give you a full quotation. Linked to Google maps live so you can see where in the country they are viewing your website from. How they got to your website i.e. Google and what they typed in to find you (keywords) so you get a rough idea of the products they are looking for. You can then even try to engage them into a chat by making a box appear on their screen asking then if they need any assistance. 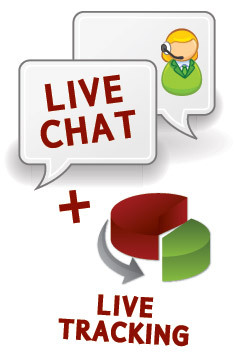 Really cool stuff that can help engage visitors and help you view visitor trends, live!. For a demo or more information on this system please email or speak to a member of our team today. 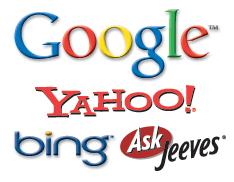 Increasing web site visibility in the search engines is a valuable asset to most companies. We can provide SEO solutions that you can trust, whether pay per click or organic growth. If you are interested in performing well in Google searches and would like some advice just give one of our helpful team members a call who we'll be happy to help. You will be assigned a web designer who will be your primary point of contact. The design process will then begin. Your assigned web site designer will talk in-depth about your requirements and discuss potential ideas and aspirations for your website design. Gathering information about your business, services and products we can gain a better understanding of your expectations and target market. It’s always easier to discuss ideas with a web design to look at, so we’ll produce a website design incorporating all aspects of the design brief and the consultation with your web designer. We can use the design to discuss the website and re evaluate if needs be. We’ll then make a list of changes and incorporate them into the next step. After discussing the initial concept with your web site designer, he/she will create the revised version incorporating any discussed changes. This will be another talking point to iron out any changes before the web design moves into coding. This is the final chance to make any changes before the website moves into coding, once you agree on the design and website goes into coding we may not be able to easily change the graphical design of the web site or add any additional pages or update the navigation. We urge you to make sure you are 100% happy with the design at this stage, if you have forgotten an element after we've begun coding we may have to charge an additional fee to cover our time. It’s then over to us to completely code your web site design for use on the internet – this also includes animating the navigation menus, creating flash animation elements, adding and coding additional pages & implementing your chosen SEO strategy. You will receive an update from your web site designer when step 4 has been completed. It’s then over to you to review your brand new website and discuss any typos, changes or text/image updates before the website is made live. Your web design project has now been completed and your new website is live, your project will be signed-off as successfully completed.